Last year I was making black and white 4-patches with the intention of making Bricks & Stepping Stones, but then there was quilt-a-long for Jared Takes A Wife and I repurposed the 4-patches. 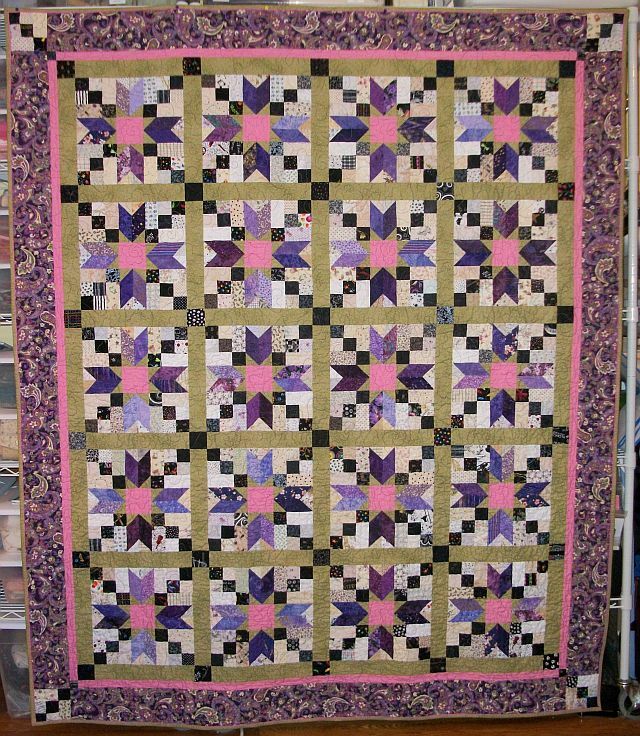 I quilted this with the panto “Floral Meander” using Transitions Variegated thread #41062 – Primary Explosion in the top and a burgundy bobbin thread. The batting is Hobb’s Tuscany Collection. 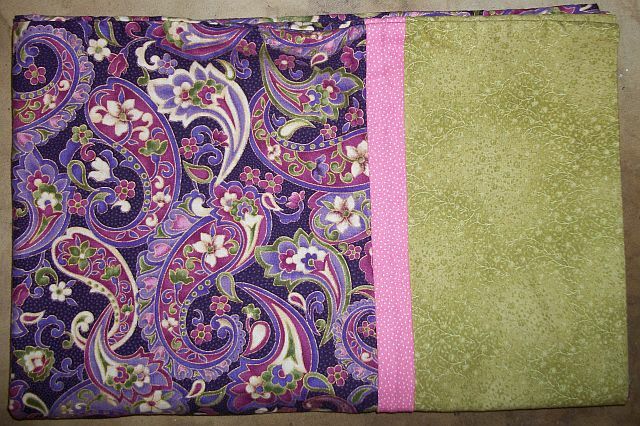 The quilt is bound with Susie’s Magic Binding – the same green as the sashing with a touch of the pink showing. After washing the quilt measures 65″ x 77″. While I was at it I also made a pillowcase. Now on to those stars! 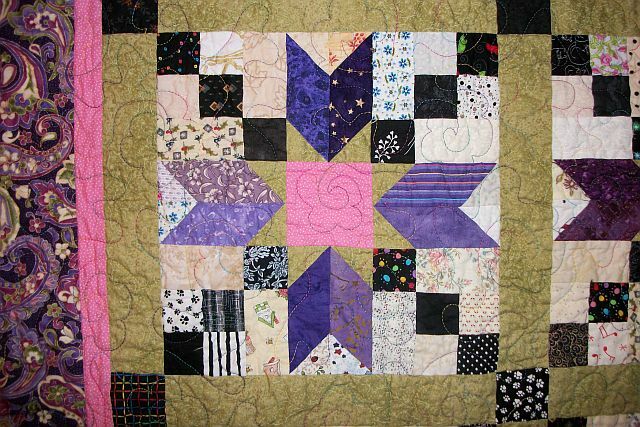 I love that you re-purposed your 4-patches for such a pretty quilt. Yea for another FINISH in 2015! !